Our good friend Density & Time released a new album today named Compendium. D&T has done a lot of music for the TQG videos and his unique blend of Hip Hop and Electronic music are truly enjoyable to ride to. This newest release especially suits such rides offering 19 original tracks into one continuous mix. Listen to it below via Spotify or buy it via iTunes! We have printed a limited run of new shirts, they are now available in the General Store. Shirts are 100% made in the USA. Did you know we have a instagram, well we do and you should follow us @toroqg. Discovery Criterium/Lockedcog Cyclebration. from Kris *lockedcog* on Vimeo. Our first venture into grooming essentials comes in the form of our new wax based pomade. Formulated for a strong hold that won't budge whether you are on your bike or in the office. Now available in the general store. The second in our series with cocktail connoisseur and all around taste maker Andrew Calisterio, learn the art of the cocktail from one of the best. Cheers. Andrew is not only one of the people behind our favorite local beer(Ruhstaller), but is also one of the best bar tenders in Northern CA. Check out the first in a series of craft cocktail videos we shot with him, welcome to the Boozehound Cocktail Club. 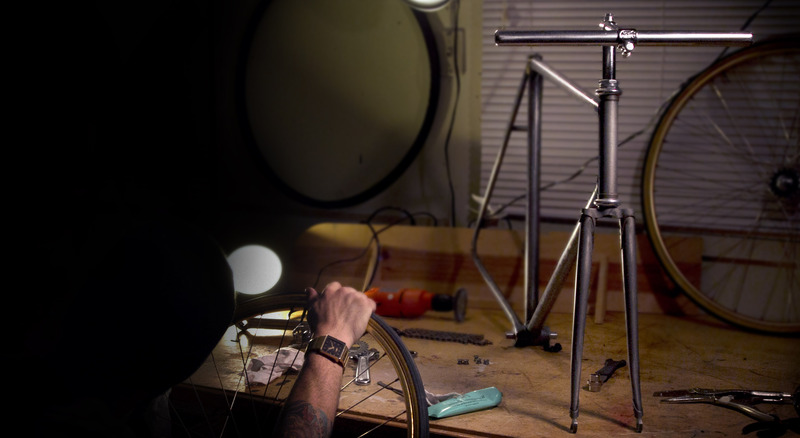 For anyone that's put the time into building up their own bike know's that it can be quite the process. Deciding on components, sourcing the goods and finding the time to bring it together into a ridable rig can be exhausting. However, the payoff is well worth it when you're riding around on something born of your own two hands. Last summer Kevin decided to take the plunge and build something he'd be proud to be rolling on. Not because it looked flashy or cost a grip of money but rather for the fact that he himself made it happen. For anyone who knows what goes into building something like this we'd like to share it with you. For the rest of you...here's a look into Kevin's process and a look at a hot bike.